Moving has been…an experience for my cat. When I first started packing up my apartment in Omaha, she was upset. She knew something was going on, but she didn’t know what. Naturally she coped by hiding under the bed a lot. Then she moved to the next stage, joy at all the cardboard boxes she got to jump in and sit on. That was a good stage. THEN came the car ride. She cried so much at the very beginning of the trip. An endless series of sad, pitiful meows fell on deaf ears, in her opinion. 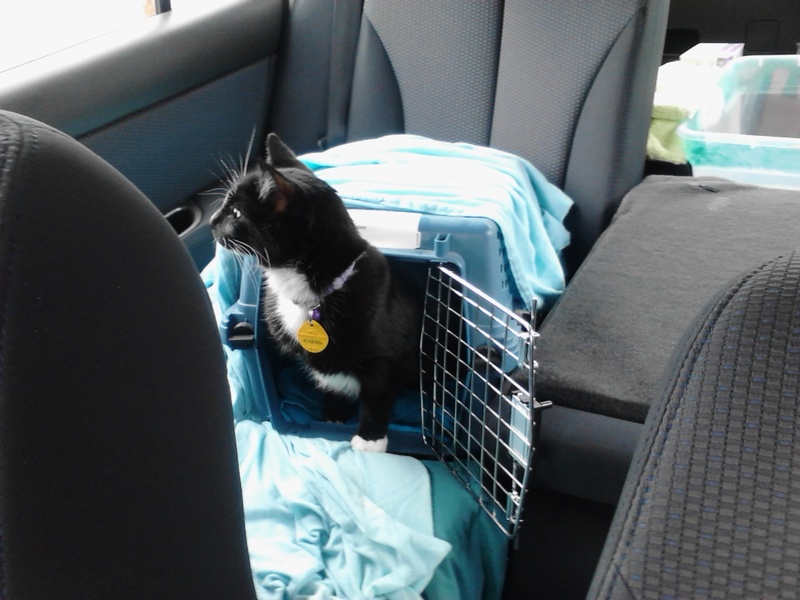 Trapped inside her carrier in the backseat, she was angry, confused and scared. We stopped for lunch and I opened her carrier (inside the car, of course) so she could stretch her legs, unsure if she would actually come out. After much half-in, half-out deliberation on her part, she ventured out of the carrier…and immediately shot underneath the driver’s seat. I lured her out of there…and she squirmed right under the passenger’s seat. And refused to come out. I didn’t want to be driving with her loose in the car, so I eventually had to haul her out of there and put her back in the carrier, much to her great displeasure. My mom took over driving later, and I sat in the backseat and held Sneakers in my lap. Turns out she quite enjoys car rides when she’s not stuck in the carrier. She loved looking out the window! 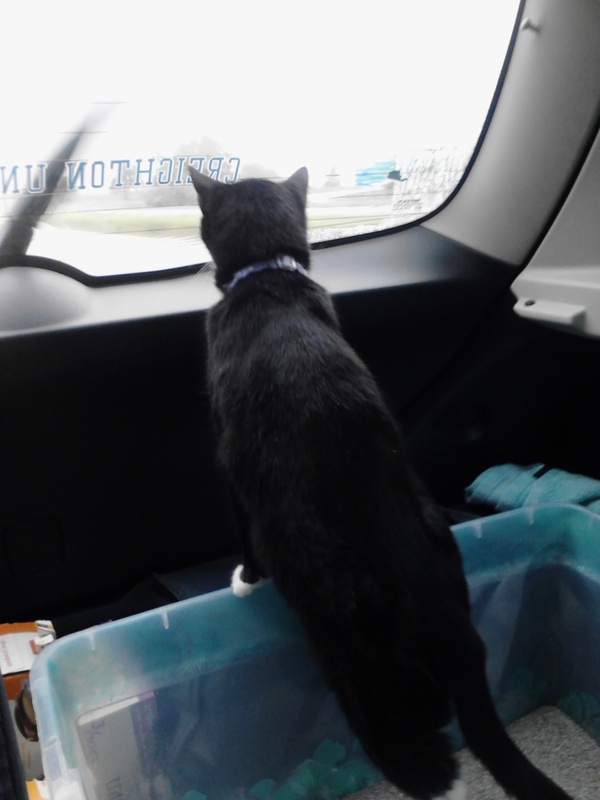 She ate and drank in the car, and even got brave enough to use the litter box in the moving car.